Make sure the home has Heating/Air-Conditioning! In busy city like Tokyo or Osaka, taking the train is the most convenient, easiest, quickest way to get around. In smaller towns/cities, bus might be the main transportation. If you are planning a road trip that requires "Shinkansen" or Japanese bullet train, perhaps renting a place near a Shinkansen station is best for you. How to find JR stations? When looking at Airbnb map, you can easily locate JR stations by the color of train lines that intersect with it. 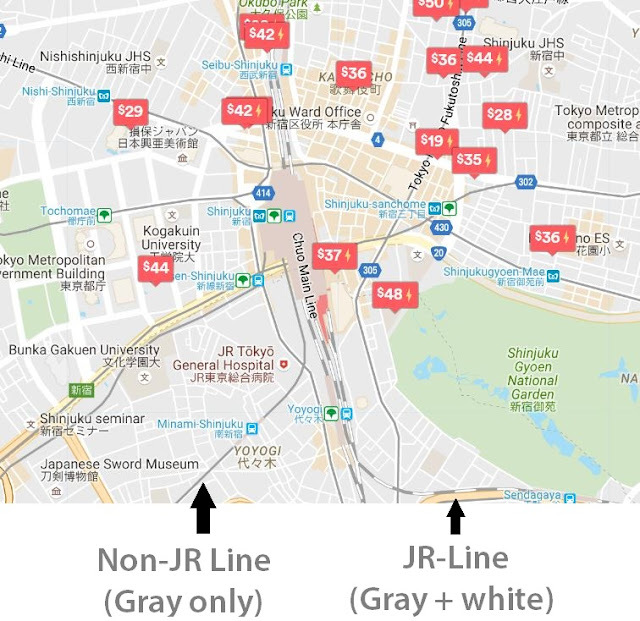 For example, the map below shows a train station that has multiple JR and non-JR train lines. (JR lines are represented in colored lines in both gray and white. On the other hand, non-JR train lines are represented by simply gray lines.) A place near this station (Shinjuku Station) will be very convenient! The cost is usually more than the daily rate. 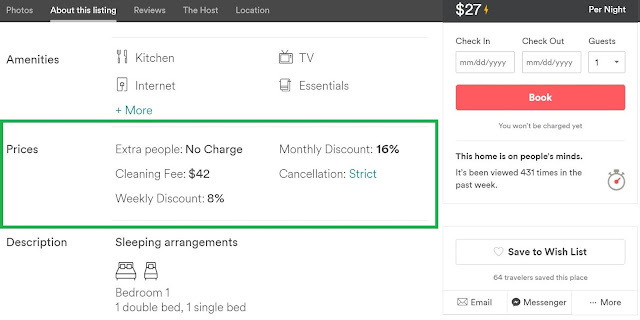 There's hidden fees such as cleaning fee, sometimes cost a little extra for weekends, and additional fees for extra people. Sometimes, direct deposit is required as well. Here's a few tips to minimize those costs. It is reasonable to pay for cleaning fee, but it shouldn't too ridiculously high like $60 to clean a single room. Cleaning fee also depends on whether it is a shared home, entire house, small studio/large home, etc. Judge and confirm the size of home: They might say it could "fit" 4 people, but seriously, it might only fits 2. Consider the amount of space your luggage will take too. You don't want to be the guinea pig here. While spending all those money on a lovely trip, don't leave room for yourself to end up at a place where you don't want to be. Take some time to read and learn about the recent condition of the place and other perspectives from previous guests who rented the same spot before. Review Rating: Avoid all places with low ratings. If it has a high rating but only with a few reviews, it might also be a red flag. Sometimes host will ask their friends to write good reviews about their place regardless of their place's quality. Weather in Japan can get extremely cold or hot (+ humid). In Tokyo, it can get up to 35 ℃/95 ℉ + super humid and as low as 5 ℃/41 ℉ in winter time. It will be painful to live under a condition without heating/cooling. Very good point about the HVAC. I would have never thought to check. Thanks for the public transportation tips. Thanks for the advice! I wouldn't have considered AirBnB before. Great advice! It's definitely important to look into their reviews and check whether they've cancelled on anyone at the last minute before. My sister once booked an AirBnB and right before she was set to head out on her trip, the person cancelled and tried to up the price during that time period. She had to scramble to find a new place, which was very stressful and expensive. This will really come in handy, thanks for the tips! Also, be prepared for the lack of insulation in Japanese housing (outside of Hokkaido). Single-pane windows, no insulation...it's great for earthquake safety and getting a nice summer breeze, but it can get super cold in winter. Very helpful article! I love it! Having a section on halal Japanese food outlets and food stalls would be of interest to me, thank you. Street food for me baby! i have been to rome, venice, switzerland, paris and kyoto japan and booked our stay thru airbnb. it was easy and reliable, the places are safe, comfortable and clean, just the way we like it! great article! I appreciate the tips! Even when you are posting to have a better experience in Japan I think it will apply worldwide, great advises, thanks! wow this really2 helps me a lot. thank you so much. I've been looking into Airbnb and I knew to stay near transportation, but the rest of these tips are so helpful. I feel more prepared after reading this, thank you! Nice useful advices. Thank you so much. Thank you so much for the info! We are thinking about trying an airbnb this summer for the first time so this info is really helpful! I should try AirBNB ! Really good tips! I use AirBNB extensively while travelling and that A/C tip is priceless. Thanks a lot. But I should be checking Weather measuring instruments first to check our safety there. Then,I'll call for booking a hotel room. 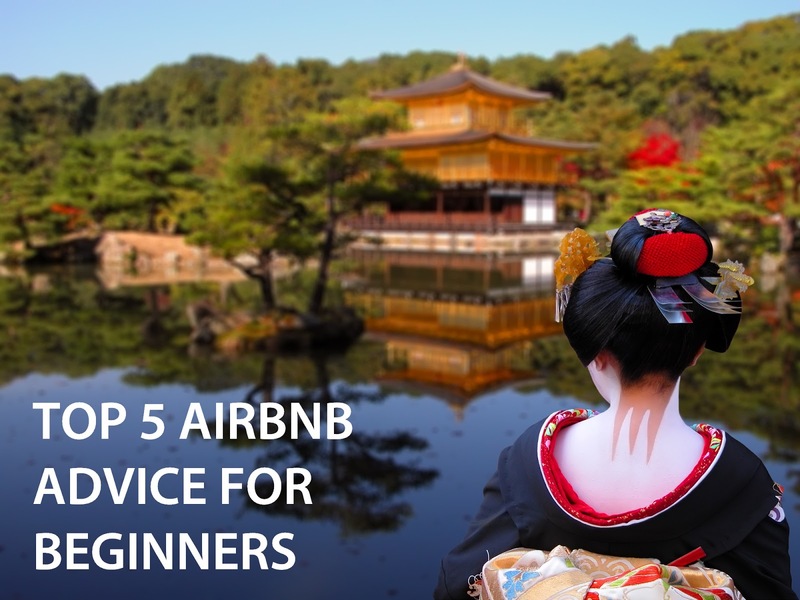 Be that as it may, now, as an incredibly famous, multi-time AirBnb veteran, I'm prepared to impart to you my tips on the most proficient method to survive your first AirBnb encounter (indicate: it's not as hard as it appears)! ... happen when you travel. It's constantly great to have the contact of a companion in the zone, or have another convenience prepared in the event that things go amiss. Very helpful tips for me and mt friends, Because i am also looking for this type of guide but now i found it. Great information keep sharing. visit india historical monument book same day taj mahal tour by train now. What a interesting and inspiring post! You shared great advice and information. Loved your post. Looking forward to see more post. Thank you so much for sharing this post and detail. Excellent Blog and your writing is amazing. Keep Posting and update to People. This post is perfect for me! Valuable tips we can find here. Thanks for this article.